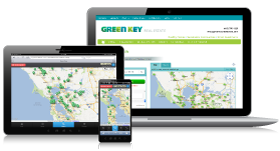 Green Key Real Estate is a full service residential and commercial real estate company with a green conscience. We support buyers and sellers to make the best choices that benefit their finances, their lifestyle, and the environment. You value the earth and your pocketbook, and you have big choices ahead of you. Our agents get it. We know real estate, we know green lifestyles, and we can support you. You need good value and seamless service to ease your mind and maximize your time and money. We know how to play the game of real estate without playing games with you. Becoming of place is the sustainable imperative of our time. Join us as we transcend the transaction and support you in dwelling deeply in your place on the planet.